Here it is! My big ole gob of a kindness post. 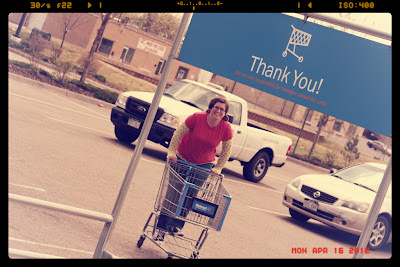 Before my birthday road trip to Denver last weekend with Susan, I compiled a list of 37 acts of kindness. I kept seeing people do this sort of thing for their birthday & thought it would be fun to do in honor of MY recent birthday. While scouring the internet, I gathered my most favorite acts (& some of my own ideas), & even packed a bag full of kindness props, which included things like wiggly eyes, neon pink poster board, a roll of quarters, tape, & post-it notes. 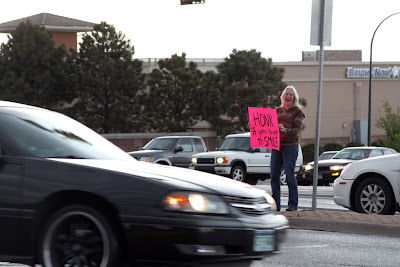 If our acts of kindness caused people to smile, then: goal accomplished! Of the 37 acts performed, I was only able to photograph 29 of them. Here is our list. As your read through, I hope you are inspired & catch the kindness fever. 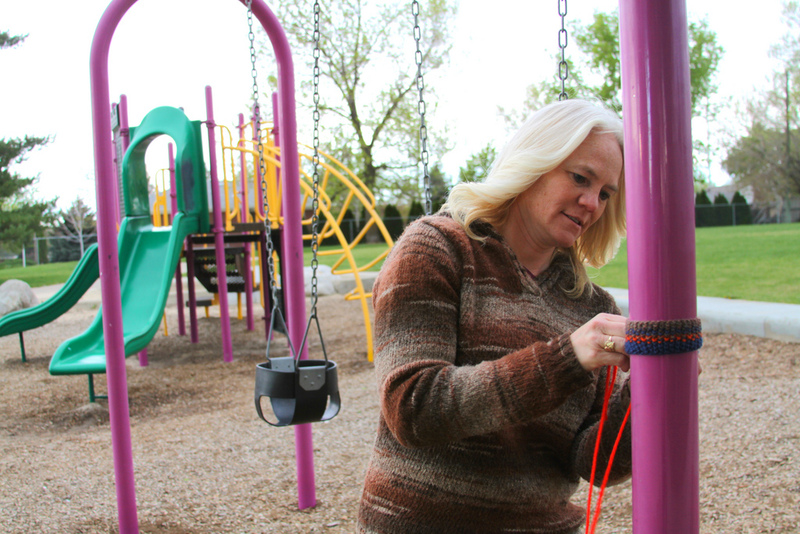 #1: Drop coins at a playground. 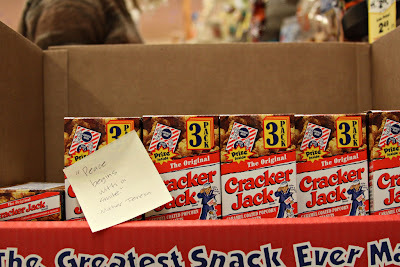 This was our first act, & an easy one to help us ease into this kindness thing. There were a few parents there with kids. I wondered what they thought of us. We pretty much just made a loop around the playground, with camera in hand, & stopped to swing (while flinging coins of course) & then we were gone. Took all of 6 minutes. And we were very secretive. I specifically packed some clothes I knew I didn't need anymore. These clothes dumpsters were everywhere in the city! 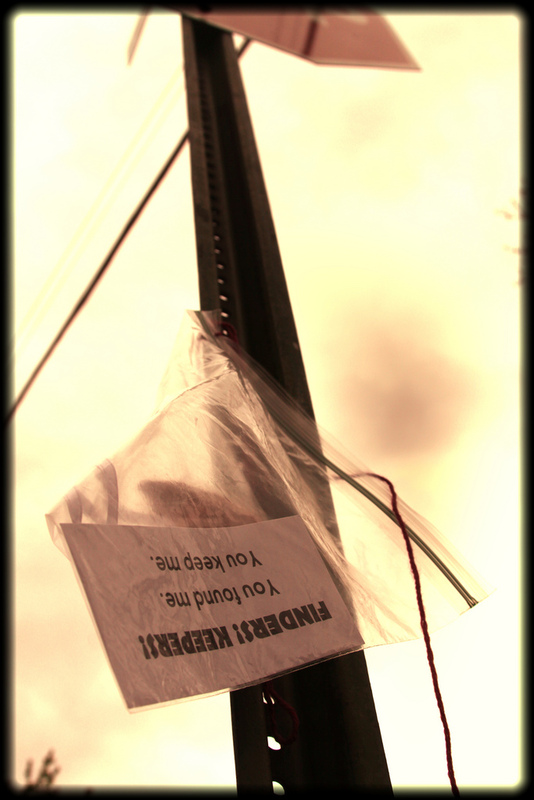 #3: Sneaky dollar store dollar drop. This was one of my most favorite acts! It was so fun to leave dollars scattered all over the store. We even left a dollar sticking out of a piggy bank. 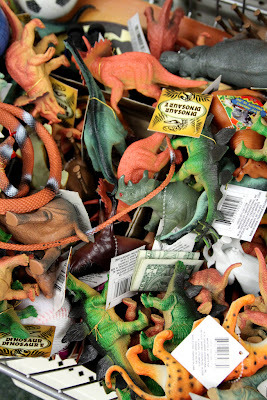 I love The Dollar Tree! I miss them. Wish there were one around here. Susan could not believe that EVERYTHING was a dollar. 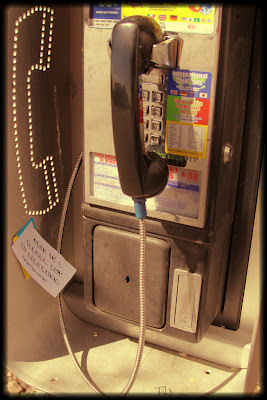 #4: Leave a pre-paid phone card at a payphone. It cost us $5. We taped it with one of our "Random Acts of Kindness" tags. Ok, so the trash in the picture is kind of extreme. 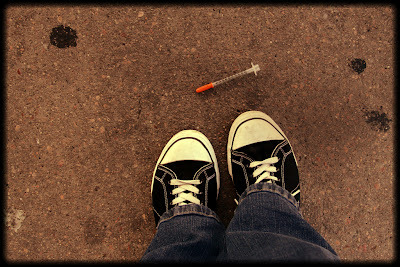 But, it's a dirty world. Plenty to be picked up. 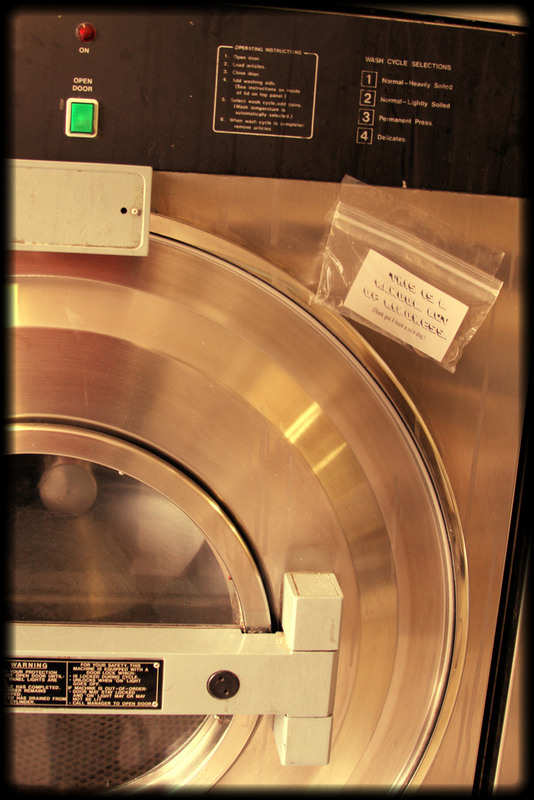 #6: Leave coins at a car wash.
We left enough coins to pay for a decent amount of washing time. No need to be stingy when you're being kind. #7: Leave lottery scratch tickets in random places. We left some at bus stops & another one taped to a dumpster. #8: Pick up grocery carts in a parking lot. Ok, so we chose a Walmart. And, it was a lot of work. But not too bad. We rolled about 25 carts back to their proper spots. You know the spots I'm talking about. Where it says "Return Carts HERE." Not over THERE!!!!! People definitely looked at us like we were nuts. The cart guy was even outside with his fancy cart rolling machine staring at us while he collected the carts we were putting away for him. And, honestly, I will never look at an abandoned cart the same again. The urge to return it will be strong within me. Always. Ok, but I don't get this. On the outer edge of the parking lot were about 4 or 5 carts. I tried returning one, but I had to PULL it instead of push it. They were all like that: broken. The wheels are non-functioning. Why are they there? Why doesn't Walmart just dispose of them? I'm sure none of you can answer that question, but I had to just get that out there. I know the cart guy is gonna hate me because of one of those broken carts I returned. And, seriously, Susan & I could have stayed there & returned carts all day. #9: Smile at 10 strangers. But I think most of the people's reactions were odd. Some just stared at me. Some WOULDN'T look at me. And some gave me weird looks. Receiving a smile feels nice though, doesn't it?? Susan & I split the 10 people, so we each took 5. Believe me, when my 5 were over, I had a tiny party. Susan had no problem with this one. In fact, the people I smiled at, looked past me & smiled at her. WHAT?! No fair. #10: Leave coins at a laundromat. We spent SO MUCH TIME driving around looking for a laundromat! We decided that doing these random acts of kindness would definitely be easier in a more familiar surrounding. But we were intent on not letting "the unknown" stop us. 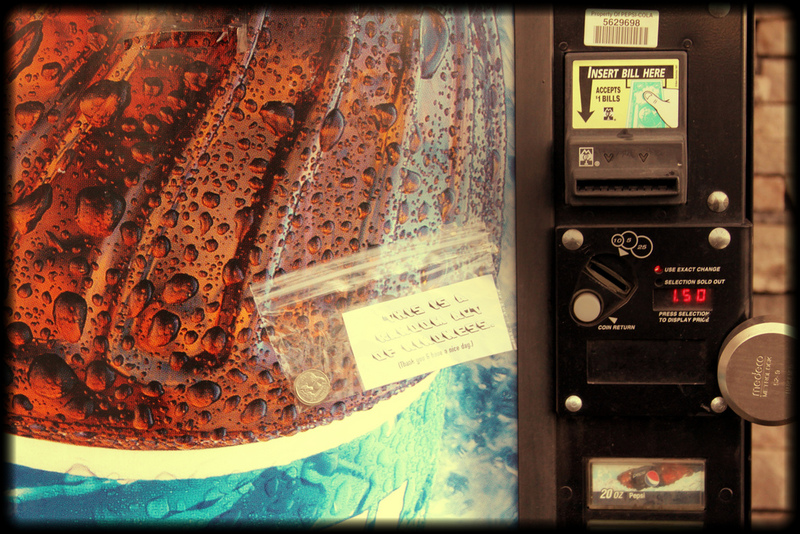 We walked right in, taped our baggie full of quarters to the machine & walked out. But not before we passed a Ms. PacMan arcade game though. Gah! Too bad I just left all my quarters at the laundromat. 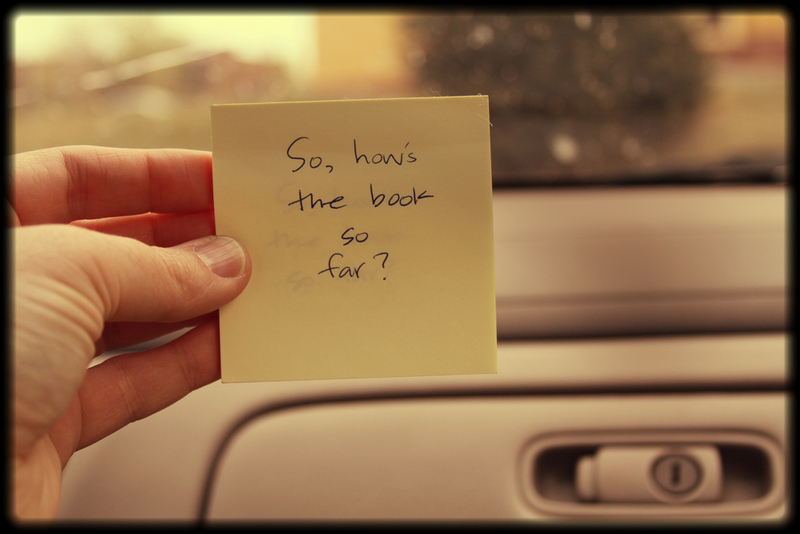 #11: Leave notes inside books at a bookstore. We had 5 notes, to be exact. We walked into the Barnes & Noble bookstore & after sticking a note inside a book, Susan freaked out. She started mumbling something about "security cameras". This was a hard one for her to do. Which is funny. We learned a lot about each other during these random acts. The things that frighten her or make her nervous are the complete opposite of things that would intimidate me. 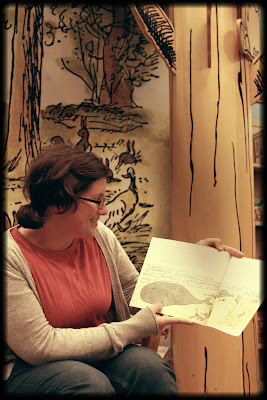 #12: Read to kids at a bookstore. Wow, this one made me kinda nervous. But it made Susan MORE nervous. So, the job was mine. And, try as I could, no children would gather 'round to listen. There was a gentlemen on my right, & then two employees working in front of me. And Susan sitting on a bench nearby. I sort of forced them to all listen, whether they wanted to or not. I guess there WERE a few bouncy hyper girls around. But they weren't interested in listening. 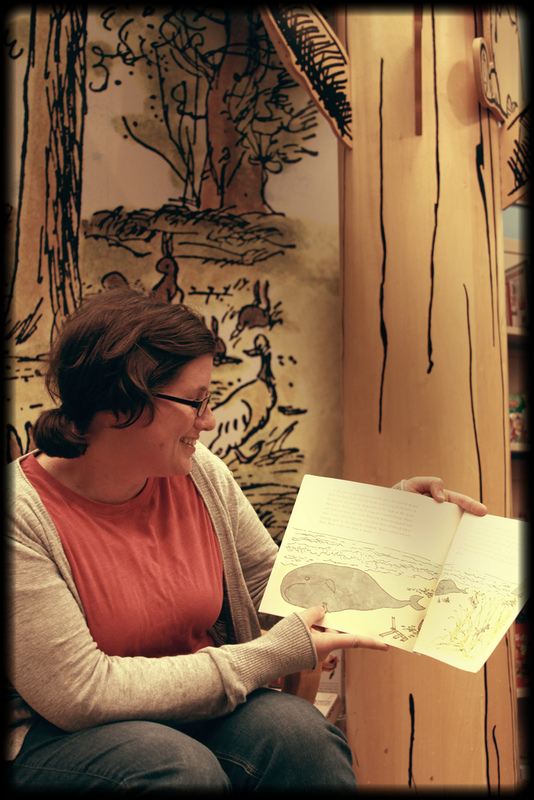 The book was called "Amos & Boris" by William Steig. I used voices & everything. They missed out. #13: Park at the far end of the parking lot. How many times do I do this? Like, never. 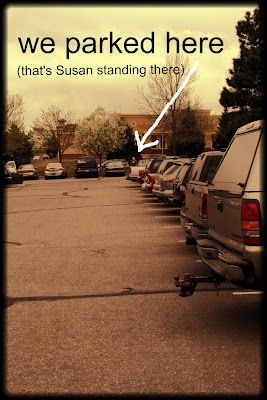 I'm usually the one stalking the cars parked in front so I can get a good spot. But this time, we gave up any decent spots & parked about as far away as you could. 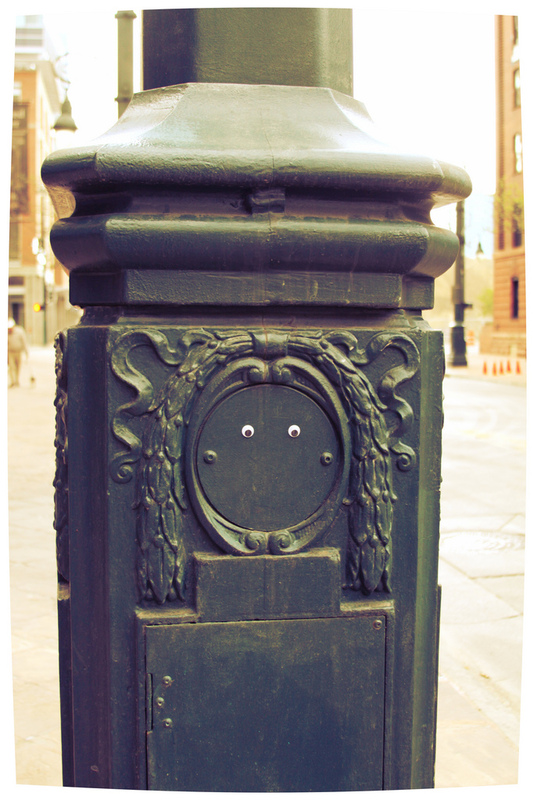 Eyebombing is simply the act of attaching wiggly eyes to inanimate objects in public spaces. The goal of eyebombing? To bring smiles. This was just down the road from The Tattered Cover bookstore in downtown Denver. I had seen this idea on Pinterest & thought it would be fun to incorporate into our acts of kindness. But let me explain my mess in this photo. The toilet paper in the original idea I saw had perforations. 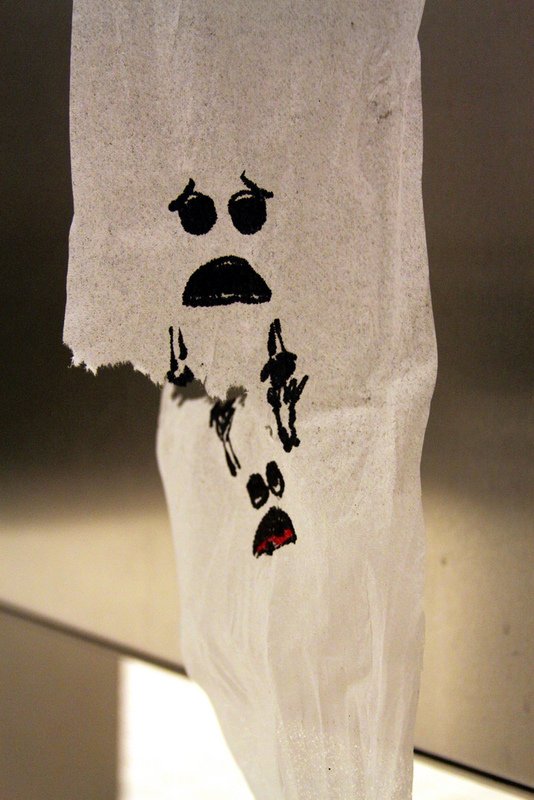 MY toilet paper was in a public restroom, where they mostly use those giant rolls of less-than-paper-thin toilet paper. The Sharpie was very hard to write with on this horribly puny canvas. But I tried. I saw a lady go into my stall when I was washing my hands. I ran out of the bathroom, found Susan & told her, "We should go." #16: Give a compliment to a stranger. Susan told some guy giving carriage rides that she liked his horse. I told her, "I don't know if that counts." So then she told some guy wearing a pancho, the wind blowing it wildly about: "You look like Superman!!!" 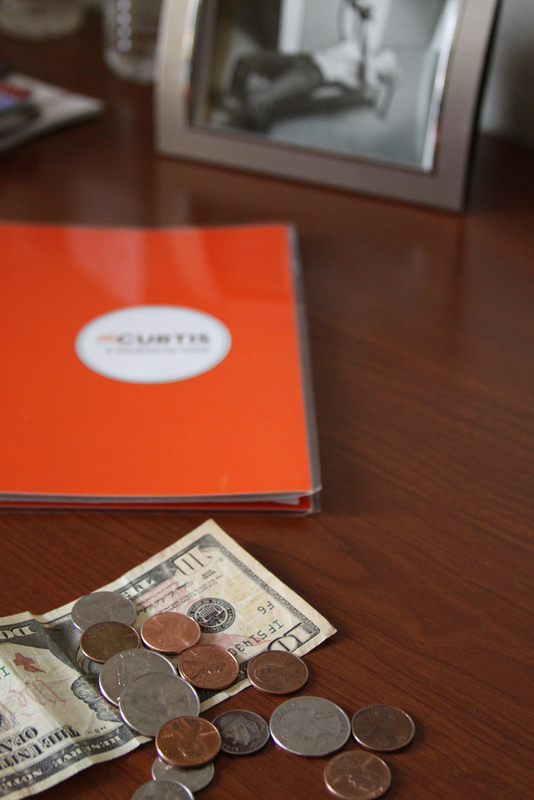 #17: Leave a gift for your waiter. Susan & I waited 45 minutes at The Cheesecake Factory to be seated. While waiting, we tried guessing what our waiter's name would be: Jason? Eric? Nick? Alex? We weren't terribly hungry because we had a large lunch earlier in the day. We ordered some avocado eggrolls to share. Our waiter, Sean, thought we were nuts to have waited 45 minutes ONLY for apps. (But have you tasted those eggrolls???!!) And I could tell he just wanted to get us out of there. He wasn't rude or anything. But there were obviously LOTS more people waiting to eat LOTS more things. Which meant he'd make LOTS more money, compared to our wimpy bill. Really, he was super nice & friendly. He even got a kick out of us trying to guess his name. And then he tried tempting us with dessert. But we were seriously full. Before we left, we wrote a note: "Hi Jason! (a.k.a. "Sean") We think you're awesome, have a good night." And then we left him a 133% tip. Above & beyond. And kind, very kind. #18: Leave a tip for your maid. Susan's pockets are MUCH lighter, but we hope the maid has a coin purse. #19: Write a nice note & send it to someone in the phone book. We know we're dorks. But wouldn't you smile to get this in the mail? I might have to do this more often. Because it was fun. 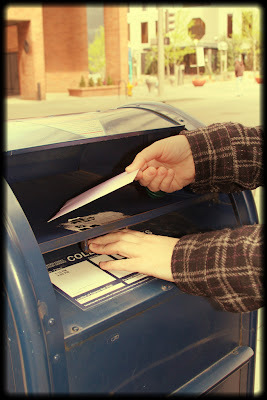 #20: Write a letter & mail it to someone who has made a difference in your life. I brought stationary, stamps & pens. While plopped on our hotel beds, & watching an infomercial for steam mops, we penned our thoughts. Susan thinks she needs a steam mop now. But we discovered something. They showed a man cleaning a floor in super warp speed. About a minute passed. If you calculated how much time that would take in REAL time to clean, it basically would take a LOT of time. Oh, & then we mailed the letters. #21: Let someone go ahead of you in line. I had to go to the bathroom REALLY bad. But then this other girl came up in line behind me. Her boyfriend went in the BOYS bathroom & she waited behind me for the GIRLS bathroom. When the bathroom became unoccupied, I let her go ahead. And then I started crossing my legs & jumping up & down. #22: Hold a door open for someone. 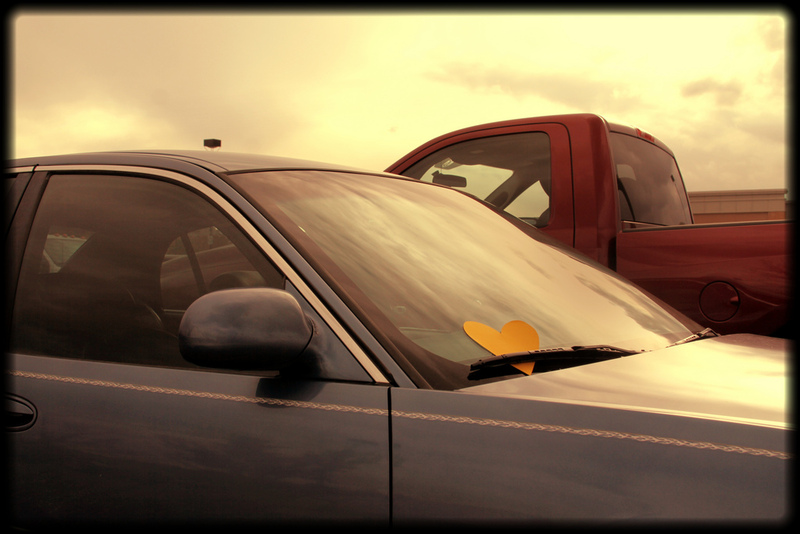 #23: Put 5 paper hearts in the windows of random parked cars. We found a parking lot full of cars. And attacked them with hearts. It was kind of fun. But, golly, a lot of people sit out in their cars. Just sitting there. A couple of you spooked us. Or vice versa. 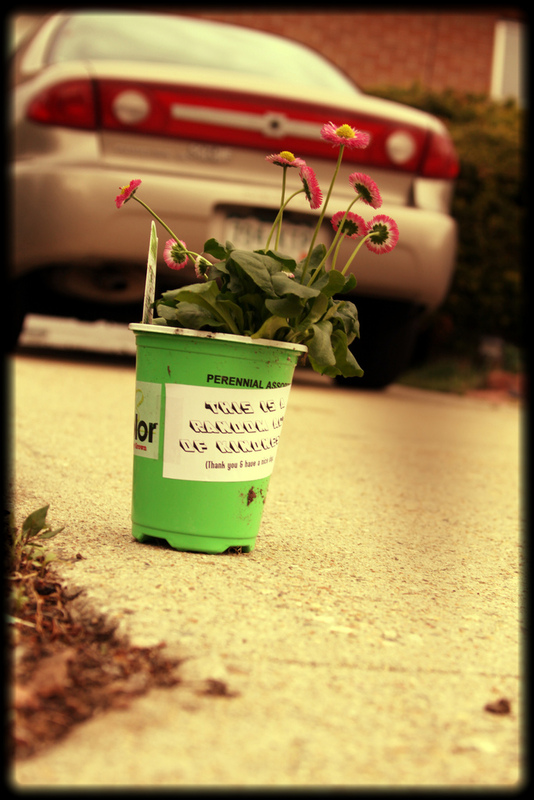 #24: Purchase a potted flower & place it in the driveway of a stranger. I think this was Susan's favorite act of kindness. How happy would that make someone? VERY happy we hope. 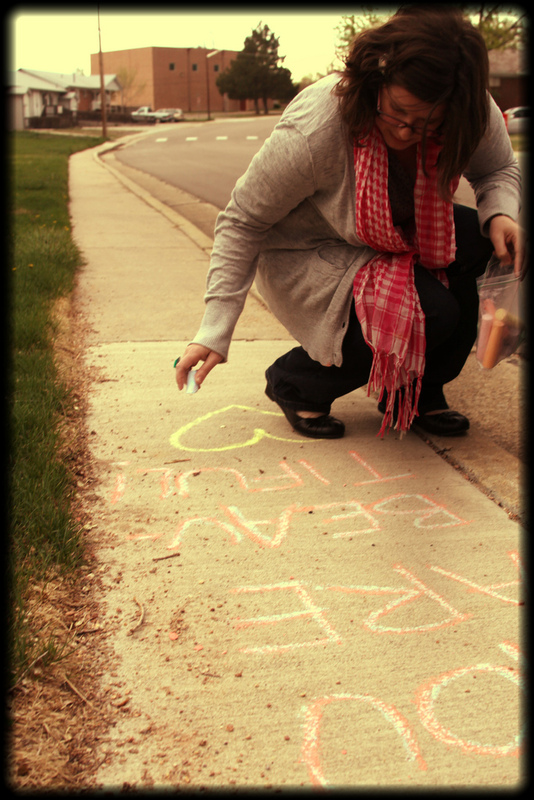 #25: Leave a happy sidewalk chalk message. It reads: "YOU ARE BEAUTIFUL!" #26: Leave a handmade gift for someone to find. I left one of my heart owlies tied to a neighborhood STOP sign. I call it "Finders! Keepers!" My monthly Crafty Night did this last year. 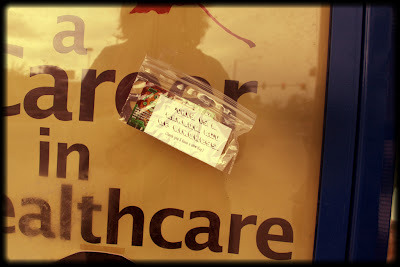 We left over 30 items all over town for people to find. SO MUCH FUN!! We were hoping to have time to knit some pieces to yarn bomb with, but we were too busy! Luckily, Susan brought a small piece she had just finished, which was a knitted wrist cuff. #28: Donate money to a cause. The perfect opportunity presented itself when, after the Wicked performance, the cast described a charity we could all donate to on our way out. I couldn't understand who, exactly, the charity was. But I heard the words HIV, AIDS & Breast Cancer. 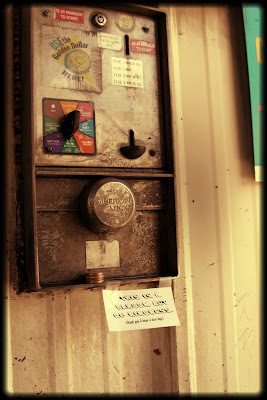 #29: Leave money on a gas pump. 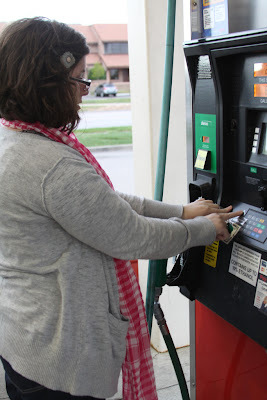 We were trying to figure out a way to actually pay for the gas inside the convenience store, so that when the next person drove up to pay, part of their gas was "kindly" covered. But that seemed too difficult, so we just tossed cash in a ziploc snack bag & taped it to the pump. #30: Pay for someone's meal behind you at a drive-thru. I have ALWAYS wanted to do this. And it was another of our favorites. The girl collecting money at the drive-thru got the biggest grins from this. She said, "That has never been done here before!" She thought it was neat. #32: Leave coins at a vending machine. Oh no. I just saw that the sodas in this vending machine cost $1.50. I think we only left $1.00. BAH!! #33: Wave a "HONK if you love to SMILE" poster at a busy intersection. 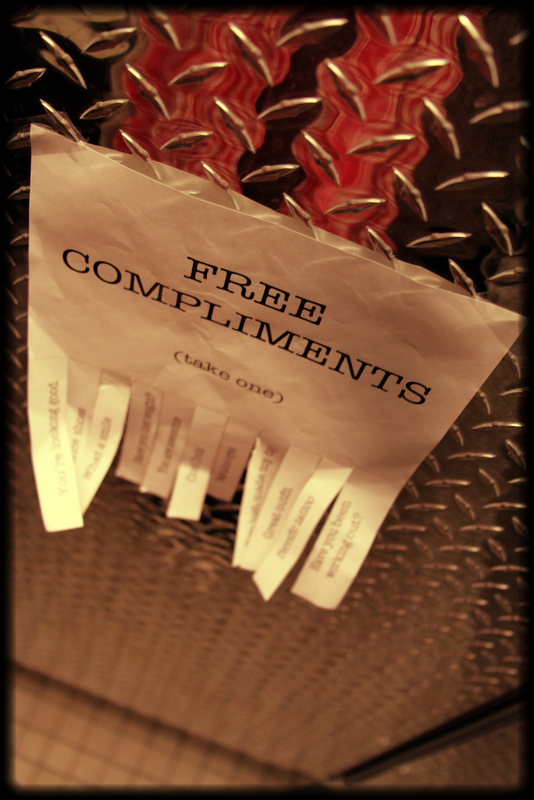 #34: Put up a "FREE COMPLIMENTS" poster. We taped it up in a ladies restroom in a grocery store. We would have preferred a bulletin board somewhere, but we couldn't find any. I've seen a fancier poster (free for printing) around the www, but liked the more plain & simple one in this instance. Print your own HERE. #35: Post happy quotes in random places. 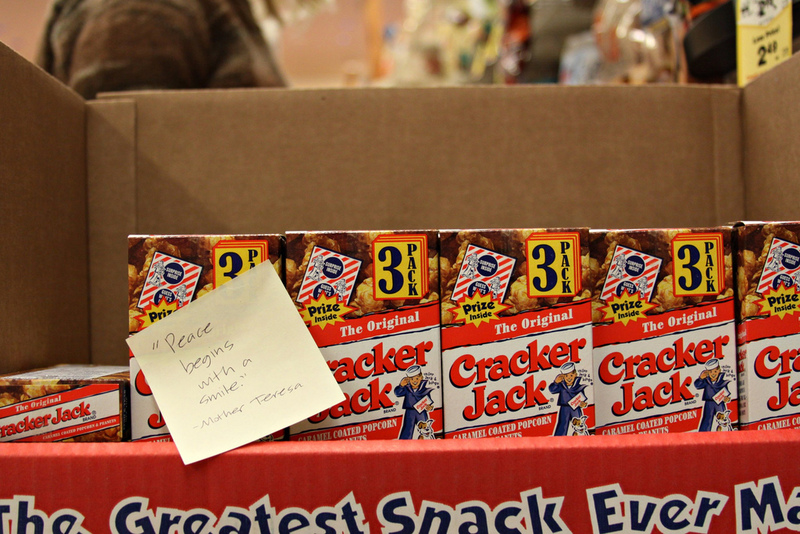 #36: Bring home souvenirs for the fam. 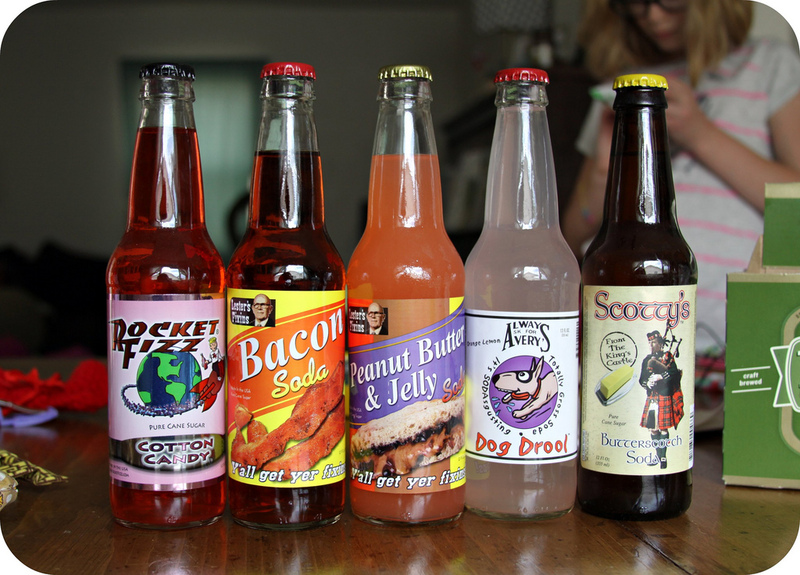 Got these fun sodas from Rocket Fizz in Denver, CO.
On the way home, we passed a really bad accident. It was sort of a spontaneous act of kindness to pray. But, still, one that could make a difference. I can't explain how awesome it felt to be a part of this project. All the more special that I could share it with a friend. And for my birthday. I showed my two daughters all the photos from my weekend away, & they want to do some random acts of kindess too! 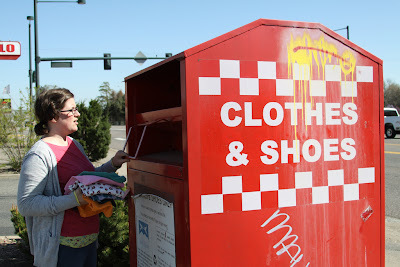 Oh, in case you wanted to peek at all the photos from our 37 Random Acts of Kindness, click HERE to view my album. WOW WOW WOW! That was like, the awesomest post I've ever read! Happy Happy late birthday Nikki! I seriously love this. Have you ever heard of the 30 Day Give in November? This sort of thing goes perfect with that, I do the 30 Day Give with my kiddos and they always love it. Here's the site, I'm sure your girls would love it too. what a wonderful way to celebrate your life. 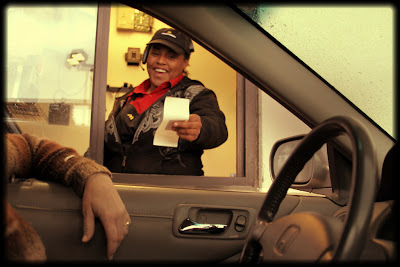 just today someone on FB posted that someone paid their drive thru (in MI, so it wasn't you) and how it made their day. This is super awesome! 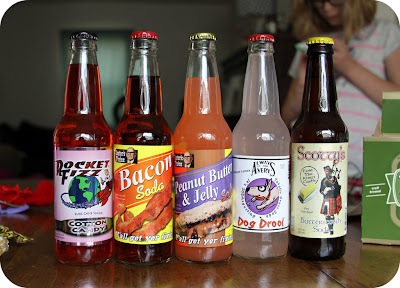 I am totally going to have to do some of these ideas! Love the notes in the books. I think I could totally do this at the library! Well done. very inspiring! i love it. i hope the people of denver loved it too. I love this post, what great fun! I hafta say, at first I thought it was silly... I mean, I've heard about Random Acts of Kindness to *death* for so many years now, and have become rather immune to them. By #26 I was crying. I know it's rather far down the list, but I was inspired early on, because you have some really meaningful acts that you chose. Others were fun, playful and just really kind. By the time I got down that far, you broke the shell. You're a very nice and kind person. I wish you well, and also a belated birthday! How fun!!! I LOVE that you did this. I want to go on a roadtrip with you & Susan!! 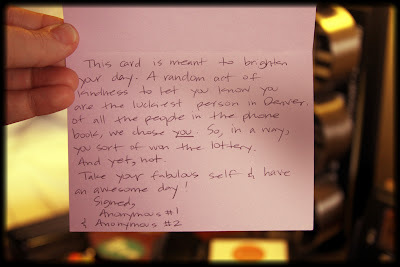 :) I'm going to try doing something like this for my 35th birthday. I'm also hoping to try eye bombing with my kiddos this summer. You're awesome! So amazing...you have inspired me...I think my small town may need a little bit of this love...maybe I will be the one to go forth and spread some RAK. Wow. I must say I'm in awe of what you've created. When I saw what they had sent you, I thought, "What the hang is she going to create with those stencils?Are we back in the '80's??" But you have a way with the craft and what you created is so lovely and funky and would make a wonderful gift. You are teaching me to think outside of the box and get my creative self on! Blessings and many more happy crafting days. Probably the coolest post ever. I really want to do this! Thanks for the inspiration Nikki! i am SO doing this for my 50th next year! This is so inspiring! :) Stumbling upon your blog just made my day!! I absolutely LOVE this!!! 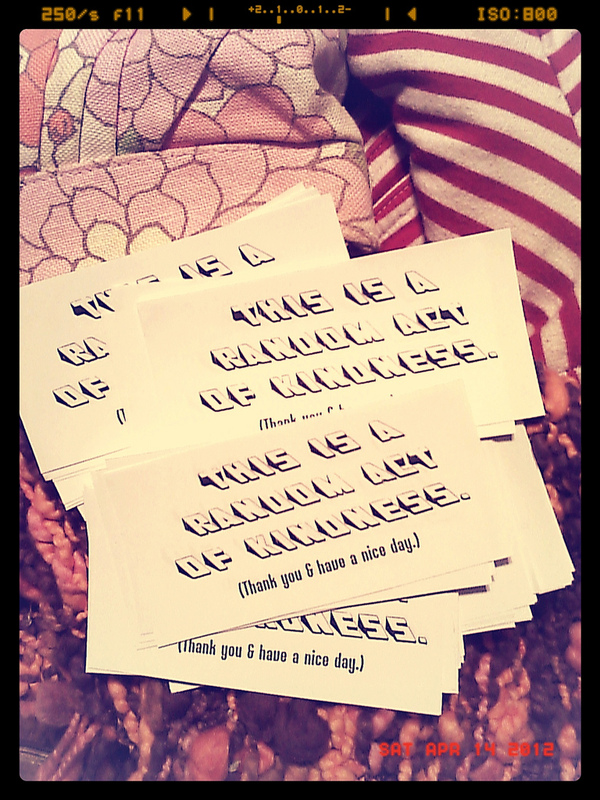 It is such a nice thing to do for others! I love having someone let me in front of them in line, it's amazing how such little things can truly brighten someone's day! I'm following you now :) Can't wait to spend more time checking out your posts!!! I am reading this a year later. Wow - thanks for this. 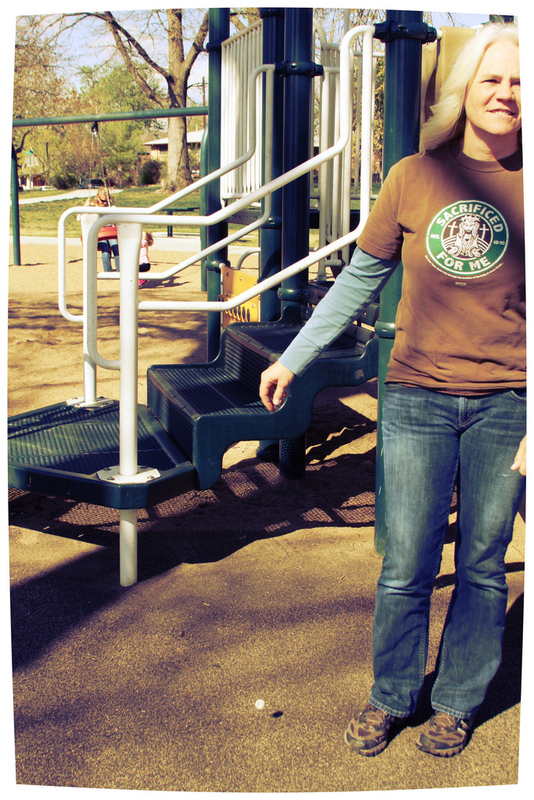 Pa It Forward Day was this past Thursday and we celebrated by doing similar things - but I love how you took the photos and your creativity is wonderful. I love this so much. Especially the part about eye bombing. :D You have inspired me. This is my first visit/comment to your blog, btw. Brought here by your fantastical advent garland (through pinterest)! And I love that you say "for reals". Thanks for stopping by, Jennifer! And, seriously, the kindness thing is addicting. Have fun being nice & stuff.